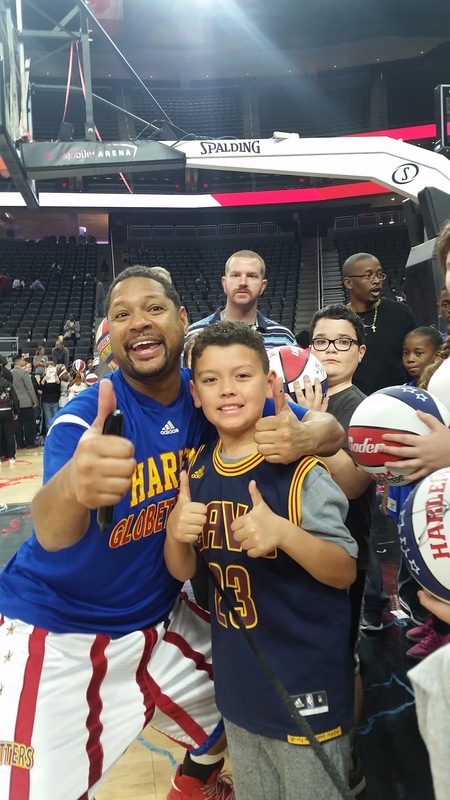 Harlem Globetrotters Fan Powered World Tour Review by Melanie McMaster | The Globetrotters do it again! 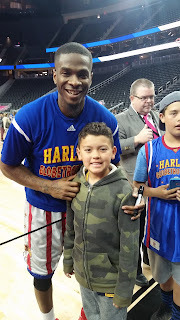 This is now the 6th year my family and I have be gone to the Harlem Globetrotters game/show. It's our second year in Las Vegas. It has become our family tradition. We always get excited, weeks leading up to the show. We have built a love for these talented guys and girls! No matter where your seats are in the arena, you will always have a great view. I'm always surprised to see how "empty" the arena is. I think it's a great family event and even if you're not a huge basketball fan, it's a fun, kid friendly event that is not too expensive. My favorite part is their entrance. 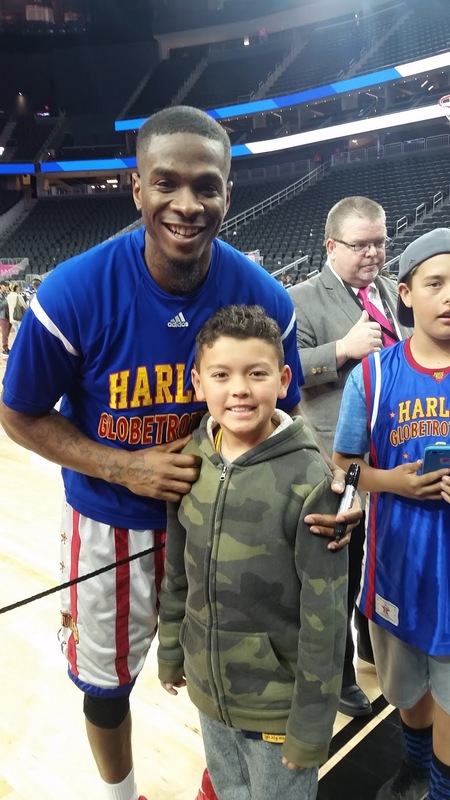 No matter how many times we've seen the show, the entrance is always exciting to see which Globetrotter is there. Since there are many Globetrotters, they always travel to different cities. The best part of the show/game is the end of the night where all the Globetrotters come to meet their fans, sign autographs and take photos. 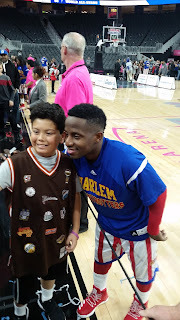 The fact they can take their time to greet their fans gives them a connection with each fan, and gives the fan the connection to their favorite player or players. I think this is very important to their fans. As a parent, I enjoy seeing the excitement of my kids to say "Hi", take a picture, get an autograph or just be that close. My kids think it's the most awesome thing to be able to do! It's not something you can do at every event or concert, but you can at every Harlem Globetrotter event!! I love how involved they get their fans and the audience in during all their shows.